Have confidence in yourself, as you know that you will provide it well-being. You are its favourite person and it has no doubt that you will fill its bowl with food and water. If it claims that its litter box is not clean, it knows that you will pay attention to every detail so that it is happy and healthy. Because it is convinced that it deserves it, and to you its well-being is also a way of looking after its health. 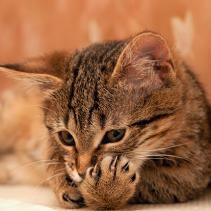 ¿What are the conditions required for the well-being of cats? It is simple: they must be well fed, they must not feel uneasy due to an inappropriate habitat, they must be free to express the natural instincts of their species and they mustn't feel any type of fear or stress. I would possibly add that moreover they ¡also require their dose of daily cuddles and petting, and of course a session of games to exercise their skills! There is no doubt that they love being the centre of your attention, although they claim their privacy, seeking moments of solitude. Cats need their own space, a place where they can isolate themselves. A blanket or a mat in a quiet place of the house that is well cleaned and ventilated will suit perfectly. Slowly they will seek their own places, their particular hiding places where they will retreat from “worldly noise”. They will appreciate having a small room in which to find their litter box. It is important that it is not located in the same place as the feed and water containers. Cats are usually demanding in this respect. Their bowl must always have food. 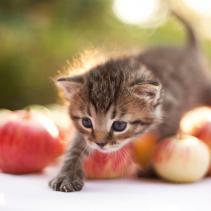 Cats can make up to 16 small feedings between day and night. This does not usually represent any inconvenience because in general they self-regulate quite well. However, to rest assured in this regard, you just need to follow the veterinary's guidance and also the indications of the pet-food manufacturer which are always shown on the package. Fresh water is also a must. Remember that it is a basic nutrient for life and their body, just like yours is mostly made up of water. Make sure there are no hairs floating in the bowl of water. This often annoys them and they won’t drink until you change it for them. To prevent them from becoming overweight, given that house pets do little exercise, it is recommended to play with them every day for 15 minutes. They will love it and you will enjoy their pirouettes and jumps. These games will strengthen the bond day by day. In fact, they will know how to provoke you with great expertise. Brushing their hair will depend on how long it is but they need to have their dead hair removed regularly. The best way to do it is without a doubt by brushing it. Knots in their coat and the general carelessness of it may cause future health problems. In order for cats to let themselves be brushed, they must be used to it from an early age. If you use a brush, always use it in the direction of the hair and lift it up at the end of the movement so that the teeth do not dig into the skin. Start first with the head, then the neck, the back, then the legs and finish with the tail. If your cat has long hair, use a comb after this. This will help you find smaller knots. When it grooms, especially during the moulting season, it may swallow large amounts of hair. 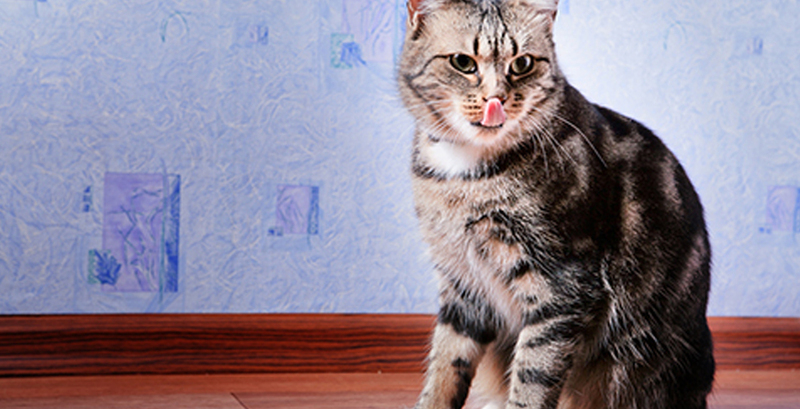 Hairballs end up being formed in their stomach and these are very uncomfortable and frequent in long-haired cats. They need to expel them. You can give them malt syrup which will help eliminate them given its high fibre content. There are also some herbs that are sold at florists' and that they can swallow when they need to purge. Their instinct will make them recognise their benefits. In order for them to keep strong nails and to meet their territorial marking needs they will need a scratcher or some vertical or horizontal item to allow them to scratch. Reward them when they use it so that they know that this is a behaviour that you like. Your opinion will never leave them unaffected, even though they sometimes intend to give that impression. ¡Be careful with their teeth! They have up to 30 when they reach adulthood! Neglecting them can cause tartar to appear on the base of teeth and lead to inflammation of gums. They can also have tooth decay. As you see, their dental hygiene is not much different to what yours should be. The only thing is that your cat need you to brush its teeth with toothpaste. Make some time for your cat every day. The idea that cats do not need care, that they go their own way, that they practically look after themselves is very common…, but nothing could be further from the truth. Some cats are more loving and others are less, but pet cats have learned to share the territory and value the benefits of life in society. And it appreciates values and seeks affection and petting. In fact, there are cases of cats who do not stand spending much time alone. Make sure that there are no items in your house that could be dangerous for their health and well-being, such as access to products that can intoxicate them or plants that could be toxic for them. The poinsettia or the hortensia are plants that can cause gastrointestinal irritation, heart failure, respiratory problems, in addition to vomiting, seizures or hyper-salivation if they are swallowed. Ask your veterinarian which plants you can have at home without them being a risk for your pet. With all these elements under control you can rest assured that your cat will live in a safe environment that will provide it with well-being. It is not in vain that you have looked into every detail so that it gets the most enjoyment out of the house. ¡Congratulations!